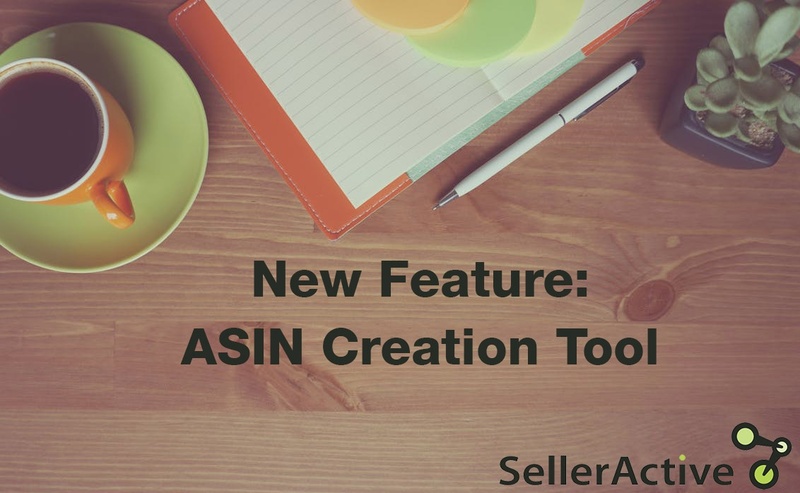 SellerActive has been busy working on some cool new tools that will make listing products on Amazon and create ASIN listings even faster, and we are sure you are going to love it! Because automating your daily business operations allows you to drive more sales in less time. Our new ASIN generator tool is ready for Amazon listings, and we are expanding the tool out for other integrations such as Walmart, eBay, and Jet.com marketplaces! Search through Amazon’s catalog by using product names, UPC, EAN, ISBN, or ASIN. If you have a listing that is already exists on Amazon, all you need to do is fill out the required fields to finish the new listing. Required fields include SKU, condition type, price, and quantity. You can choose how in-depth you would like to get with your listing details including condition notes. Product not in existing catalog? Need to build an ASIN for your listing? We make it easy. SellerActive’s ASIN generator tool will walk you through four simple steps to building an ASIN for your listing. When building your new ASIN, don’t worry about hosting your images and having to link them. You can build your ASIN and host your images all in one place. SellerActive now hosts images to streamline your production. Once filled out, all listings will then be saved as a “draft” for your final approval.SellerActive automatically saves every change throughout the listing process. If you need to step away and come back to the listing, it will be just as you left it. Autosaving helps you stay on task and gives you the freedom to switch between listings without losing any information. Our ASIN generator tool helps you see if there is any errors during listing. Quickly switch between drafts to correct any errors before they are pushed live. The ASIN listing tool is ready for you to start using today from the “Listings” drop down option on the dashboard. Have a feature you would like to suggest? We would love to hear from you! Contact our support team via email at support@selleractive.com or call 1-800-545-7385.